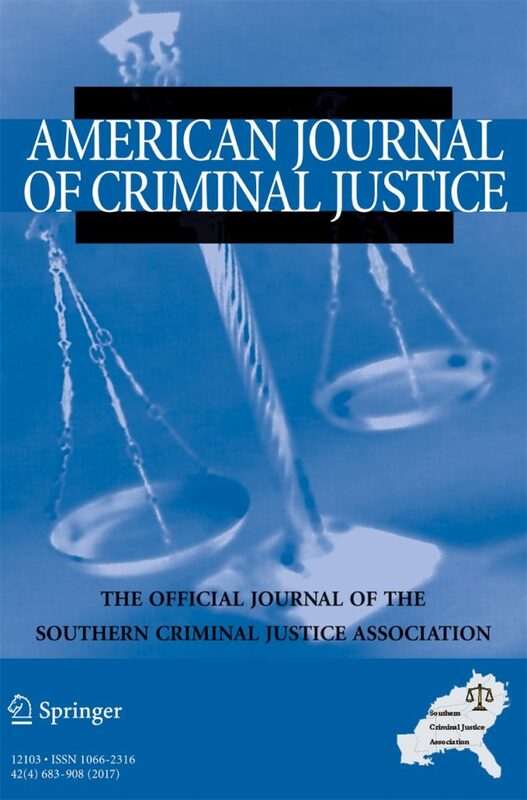 The American Journal of Criminal Justice, sponsored by the Southern Criminal Justice Association, is a refereed publication and manuscripts go through a blind review process. The focus of AJCJ is on a wide array of criminal justice topics and issues. Some of these concerns include items pertaining to the criminal justice process, the formal and informal interplay between system components, problems and solutions experienced by various segments, innovative practices, policy development and implementation, evaluative research, the players engaged in these enterprises, and a wide assortment of other related interests. The AJCJ publishes original articles that utilize a broad range of methodologies and perspectives when examining crime, law, and criminal justice processing. Please follow the hyperlink “Submit online” on the right side of the journal's website and upload all of your manuscript files following the instructions given on the screen. Papers are not to exceed 25 pages in total length (including tables, figures, and references) and style should conform to that outlined in the Publication Manual of the American Psychological Association. Submission of a manuscript to AJCJ is regarded as a commitment to publish therein. Manuscripts submitted simultaneously to another journal will be rejected automatically. Index; Criminology, Penology, and Police Science Abstracts; International Political Science Abstracts; Psychological Abstracts; Public Affairs Information Service; and Sociological Abstracts.